People have been wassailing in this country for hundreds of years. The custom has its roots in paganism with the idea being to protect the apple trees from evil spirits and to ensure a plentiful crop in the coming season. 17th January is the traditional date to celebrate as it is the old Twelfth night (before they changed the calendar). Our celebration was a big family do and I knew as long as everyone was warm with full tummies we would be alright. So, we all togged up and wandered out to our orchard and by orchard, I mean our three apple trees in the garden (you have got to work with what you’ve got!). These trees mean a lot to us as this year alone we got 55 litres of pressed apple juice from them. First up Beau tied a ribbon in the oldest of the three trees to mark its importance, then the instruments were handed out and we all jingled, rattled, strummed and shrieked as loud as we could to scare away all the nasty spirits and wake the sleeping trees to ensure they go on to produce bumper harvests. We all really went for it! It is amazing how much noise you can make on mass – it felt very liberating or maybe that was the spirits leaving! 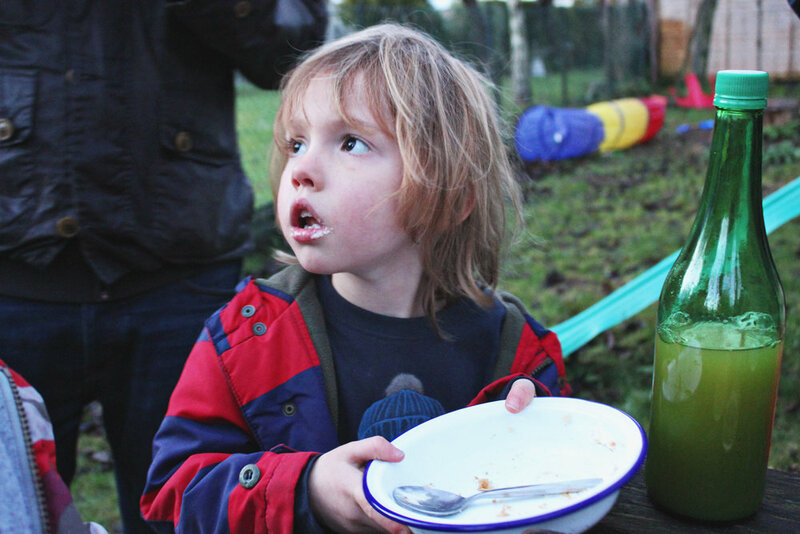 My second favourite bit was up next – tasting this year’s home brewed cider for the first time. I was rather anxious about this as I have been staring at the demijohn a rather long time imagining its taste. It was pretty good – a bit too sweet – I probably should have waited a while longer, but it seemed too fitting an event not to try it! Then Noah was sent up the tree to pop a cider soaked piece of bread in the branches. 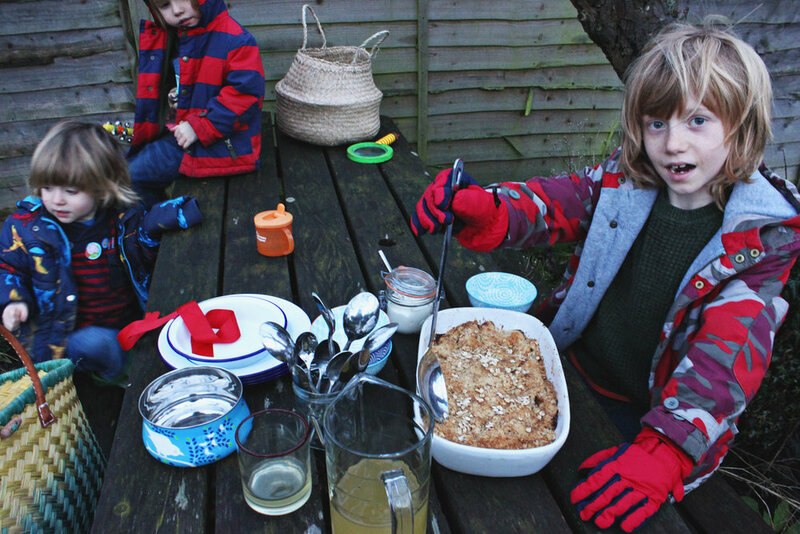 Now on to the bit everyone was pestering me about – the hot apple crumble and cream!! Beau excelled himself on this front - it was delicious. If he carries on cooking like this, we will all be blessed because at 5 he is already doing a grand job. 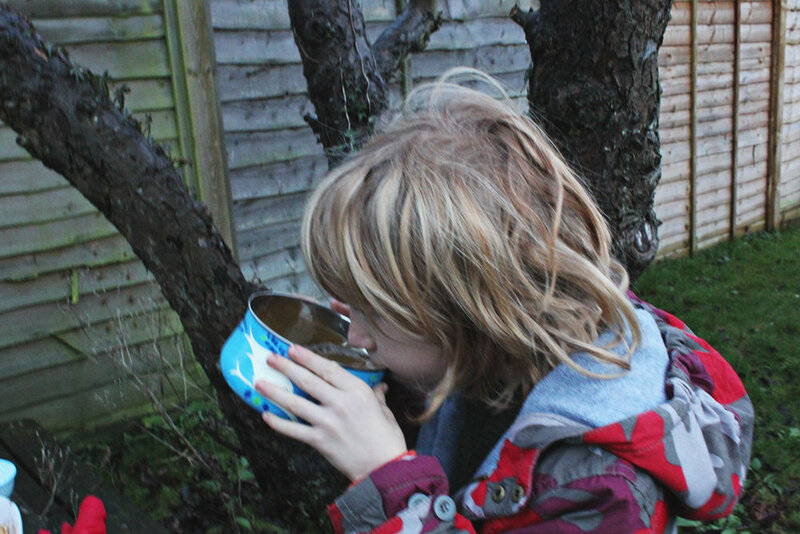 Everything was rounded up by passing the wassail cup full of the trees’ apple juice for everyone to drink up and dousing the trees roots in cider (just a touch!). 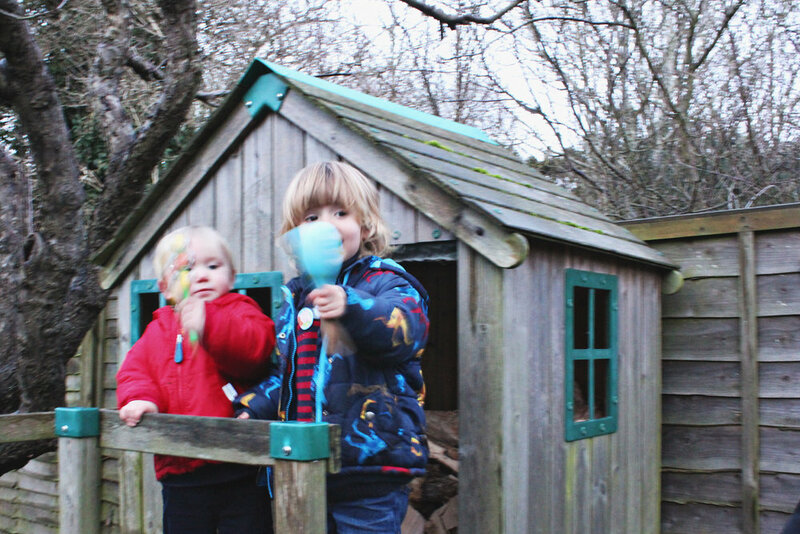 This is such a fun way to get everyone outside at a bleak time of year and make wonderful memories! Here is to another bumper harvest!